TERRI B! believes that hot music is the only way to remain relevant. 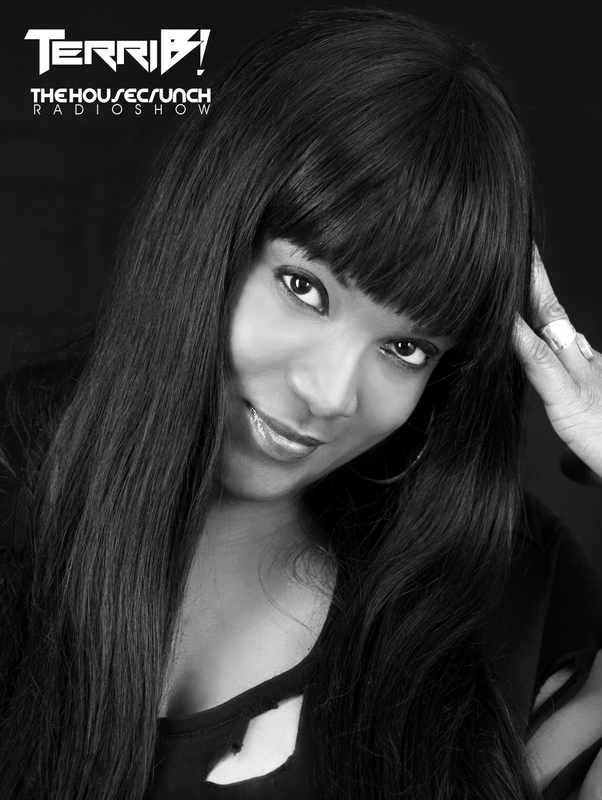 The chart topping dance diva, MC/DJ and Songwriter has one of the most unique and sought after voices in dance music. Solid releases with Cazzette, Roger Sanchez, John Dahlbäck, Henrik B, D.O.N.S., DJ Antoine, Crazibiza and other world class deejays have allowed her to continue her electronic stride. She is a household name in the world of EDM and continues to drop influential, cutting edge music. Her voice has landed on the remix boards of names like Avicii, The Bingo Players, Laidback Luke and a host of who’s who in electronic music. Her voice is legendary in clubs around the globe. In 2015, she was the first person to top the Billboard Club songs charts twice at #1 and did within three weeks. She is one of only a few who held two songs in the top ten at the same time. Club burner, Big Fun, with D.O.N.S and Blind Heart with Cazzette as a featured vocalist have paved the way for an extroadinary solo career. Blind Heart, which she co-wrote, has collected more than 25 million Spotify streams. It all began for Terri B! after several successful group ventures, she debuted as TERRI B! in 2009 with Swedish Dj/producer Henrik B on the Joia/Nervous release “Soul Heaven”, hailed one of the best house tracks ever re-recorded and solidly placed her at the top of the club music food chain. Her success in Russia with the single “Heaven”in 2011 left her with several hundred thousand spins, topping the charts at #3 and a household brand in Eastern Europe. She is one of the few selected vocalist invited to share stages on diverse International events with such names as David Guetta, DJ Antoine, Roger Sanchez, Tocadisco, Tiësto, Thomas Gold, with a list is too long to mention. The well rounded artist has enjoyed touring extensively, with tours that included stops at the The Ivy Sydney, The Opera Moscow, The Cocoon (Frankfurt), Mirage (Warsa), Nikki Beach (Miami), The Family (Brisbane) as well as the festival brands, Summerdaze, Bangkok’s Culture Festival, Donauinselfest (Austria), Love Parade (Berlin) and many more. The avid songwriter, signed to the prestigious publisher Reservoir/Lifted Music, she has penned music for ATB, Medina, Roger Sanchez, DJ Antoine, Eddie Thoneick, Cazzette, Miss Tara and a host of international pop stars has a distinctive style and flow. Her love for electronic music lead her to create the Soulful Radio Show, “The Housecrunch” in 2006 and as Resident mixer/dj she continues to enjoy Residencies worldwide, with more than 50 international station partners.